Finally, LeBron James has debuted his new shoe. This is a good occasion to get his NBA kicks timeline section updated with year #14. I’ve delayed this season’s update mainly because the old layout was not designed to work well with mobile devices and it was tiresome to put up two different versions. 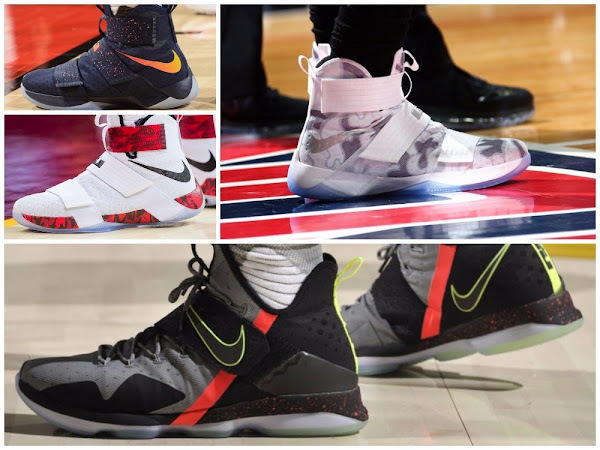 So here it is… hit the link below for a complete list of all shoes worn by The King this season. By the numbers, LeBron has already worn 22 different colorways in 27 games. 14 of which were the Soldier 10’s. As usual many PEs, not a lot of GRs. Not all the features are there yet, but the core information is already in place. It’s still the only place where you can check out all of LBJ’s on-court kicks… 14 years of action and counting. Stay tuned for more.